At the start of the Trump presidency, it looked like the U.S. covert “regime change” war in Syria might be ending, but it has returned, zombie-like, in a slightly different form, reports Steven Chovanec. Back in February, it was quietly reported that the CIA had discontinued its support program to rebels in Syria. A month later, a knowledgeable source from the region disclosed to me that the Trump administration and the Saudi defense minister, Prince Mohammed bin Salman, had agreed during their meetings in mid-March for the Gulf states to re-open supply channels to their rebel proxies. This was done, the source said, to keep the Syrian government’s army and its allied Russian air force occupied so that the U.S. and its Kurdish allies could continue dividing northern Syria, establishing a zone-of-influence throughout the lands they recapture from the Islamic State. Concurrent with this was a similar effort in the southeast, where U.S. and Jordanian backed forces have been battling ISIS while attempting to establish control over the border with Iraq. The strategy was to use the fight against ISIS as a pretext for establishing a de-facto occupation of Syrian territory, where in the Kurdish-held regions the U.S. has already established multiple military bases and airfields. A major motivation behind Russia’s push to establish de-escalation zones, now implemented after a deal was reached with Iran and Turkey, was to free up the Syrian army and Russian air force to launch operations eastward against ISIS and counter the US efforts. After the agreement came into effect the Syrian army began operations aimed at reaching the Iraqi border at the al-Tanaf crossing along the Damascus-Baghdad highway and to recapture the ISIS-stronghold of Deir Ezzor further north. Both the U.S. and Syria have voiced intentions of taking Deir Ezzor, which is home to strategic oil resources, yet now because of the de-escalation agreement it is highly improbable that the U.S. will be able to stop Syria and Russia from taking the city. The parallel measures by the U.S. and Russia signify a race between the two major powers to capture as much territory as possible from the Islamic State before the other side is able to do so. Under the guise of “defeating ISIS,” both powers are essentially carving out their own spheres of influence throughout the country, dividing it between U.S.- and Russian-backed regions, leading to an inevitable showdown between the two sides over the fate of the country and its territorial integrity. There are also suggestions that some sort of deal has been reached between the two sides. The Wall Street Journal recently reported that Syria and Russia have for the first-time voiced support for the U.S.-backed offensive to retake Raqqa, ISIS’s de-facto capital, as long as the Kurds who dominate the coalition make good on their agreement to hand over administration of the city to a local council afterwards, which is expected to return governance back to the Syrian government. Yet at the same time, U.S. and Jordanian-backed rebels in southern Syria, supported from a U.S.-led Military Operations Center in Jordan, have been battling with the Syrian army in an attempt to halt their eastward push along the Baghdad-Damascus highway toward the Iraqi border. At the border, the al-Tanaf crossing is currently occupied by U.S. Special Forces and British SAS, as well as rebels supported by the Pentagon. Before the de-escalation zones were implemented, Syria and its allies were powerless to stop the U.S.-backed forces from consolidating control of the border and the southeast, yet now are battling against them with the goal of establishing a link between Damascus and the Iraqi border. Concurrently on the Iraqi side, the Iraqi government has sent forces supported by the U.S.-backed coalition to secure the border triangle with Jordan and Syria and to meet up with the U.S. forces at al-Tanaf. While the U.S. has pressed the Iraqi government to launch this operation, to extend U.S. control along the border and project its influence into southern Syria, Washington has specifically prevented the inclusion of the Iranian-backed Popular Mobilization Forces (PMF). At the behest of the U.S., Baghdad has instead sent the PMF on a separate operation to secure the border from ISIS further north to the West of Mosul. The reason was to prevent the Syrian army from linking up with Iranian-backed forces at al-Tanaf and thereby establishing a connection between the governments of Damascus and Baghdad. This connection would have allowed Iran to create a land-line linking itself to Lebanon, from which Hezbollah could have been directly supplied. This would have formed a direct geographical connection between the “Shia Crescent” – Iran, Syria, and Hezbollah – which all oppose U.S. efforts at power-projection in the region. While preventing this connection will not end cooperation between the bloc, allies in the Gulf and Israel will be happy to see forces hostile to Damascus along the Syria-Iraqi border, and Washington would be pleased to establish influence within the heart of the “Axis of Resistance”. This also would prevent increased cooperation between Iraq and Syria in the fight against ISIS, cooperation that the government in Baghdad has desired. 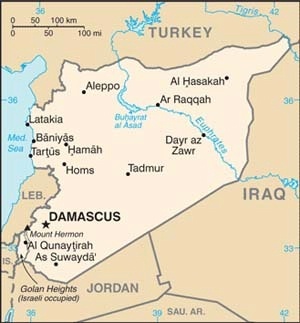 Syria, for its part, is attempting to reestablish its presence in the east. In addition to securing the border, creating a link between itself and al-Tanaf would potentially reopen cross-border trade with Iraq, allowing much needed supplies to re-enter the country while increasing its connection to the government in Baghdad. The prospect of Syria’s likely capture of Deir Ezzor also carries important strategic implications. Deir Ezzor is rich in oil-reserves, and ISIS’s ability to control and sell its oil had been a major factor in its establishment of a Caliphate. Internal Department of Defense documents from 2012 warned that if the extremist opposition was able to establish control over the oil-rich Deir Ezzor and Hasaka regions there was good chance that a “Salafist principality” would be declared, one which could extend across the Iraqi border into al-Qaeda’s old pockets in Mosul and Ramadi; something that transpired a two years later. The U.S. and Syria have clashed over Deir Ezzor in the past. In 2016, the U.S.-allied air force attacked the Syrian army stationed there in what the U.S. claimed was a mistake, but the devastating air strike enabled ISIS to advance and nearly eliminated Syria’s presence in the region. In addition to the other maneuvers comes the U.S. decision to formally supply the YPG, a coalition of Kurdish factions supported by Arab groups, with weapons to aid their operation to take Raqqa. The U.S. has been arming the YPG all along, yet now that support is out in the open and intensifying. This has angered Turkey, a NATO ally, whose main goal in Syria has been to prevent a contiguous Kurdish entity from forming along its borders. The U.S., on the other hand, has allied with the Kurds, who have proven to be their most effective proxies against ISIS. However, in April an FSA officer disclosed to Al Jazeera that Turkey and the U.S. were trying to create a unified rebel army between the FSA and the rest of the northern opposition. This faltered due to fractional differences, and instead it was agreed to create a unified command structure under the support of a military operations room in Turkey, which is supported by the U.S., Turkey, Western Europe, and the Gulf states. In support of this effort the CIA has partially reestablished its rebel-support program that had been frozen since February. This raises questions, as one of the groups that had previously been supported, Nouri al-Din al-Zinki, is openly allied with Syria’s al-Qaeda branch, al-Nusra, in the Hay’at Tahrir al-Sham (HTS) coalition, which Nusra dominates. Similarly, other groups that have joined this new formation include those that have integrated themselves within Ahrar al-Sham, a hard-line Salafist group with an extreme Islamist vision for the future of Syria. Although it has also fought in alliance with Nusra, Ahrar al-Sham has succeeded to a degree in portraying itself as moderate. Despite quarrels and flare-ups, Ahrar al-Sham remains allied to Nusra and maintains good relations with the group, as they are integral partners and together dominate the opposition. In reality the FSA is a chimera, as it is completely integrated underneath a command structure dominated by al-Qaeda and its allies. Not surprisingly then, the FSA commander stressed that this new alliance would fight the Syrian army and not against HTS or Nusra. According to Syrian analyst Ahmad Aba Zeid, it is possible that the U.S. decision to reopen the CIA program was related to negotiations with Turkey concerning U.S. support for the Kurds and the operation to take Raqqa. 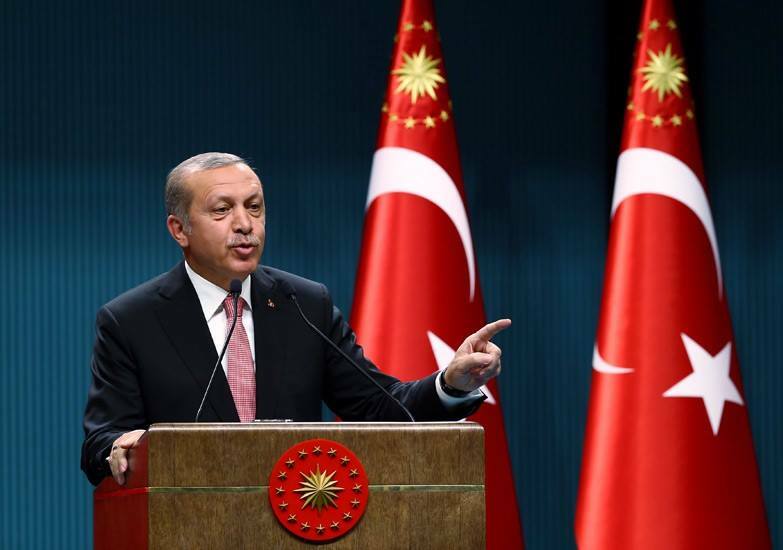 Turkey had demanded that the U.S. abandon the Kurds and instead use Turkish-backed rebels. Turkey opposes the ongoing Kurdish-U.S. alliance. 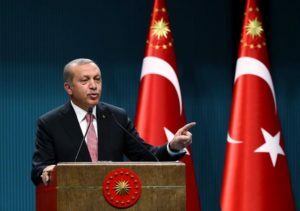 President Recep Tayyip Erdogan has recently gone so far as to directly attack the YPG, which operates alongside U.S. Special Forces, compelling Washington to send its own troops to the front lines to stop further aggressions. It is possible that the U.S. agreed to unfreeze the CIA program and aid the Turkish-backed rebels as a consolation for choosing the Kurds to take Raqqa. In this context, Turkey’s involvement in the de-escalation zones agreement raises further questions. Since the de-escalation zones allowed the Syrian army and Russia to directly counter U.S. maneuvers in the east, it is possible that Turkey signed on to the agreement to limit the success of the U.S. in its support for the Kurds and the territory the Kurdish factions have been able to acquire as a result. After all, the FSA source said that the CIA specifically told the rebels not to attend the Astana talks, where the agreement was signed, and without Turkey the negotiations would never have gone through. If this is true, the U.S. decision to overtly intensify its support for the Kurds could have been a shot aimed against Turkey for signing onto the agreement. It is difficult to decipher exactly how this has all played out, yet it is clear that despite differences the U.S. and Turkey are continuing to work together to support the rebels against the Syrian government. As the CIA reopens its rebel supply lines, it’s important to note that the entire opposition is dominated by al-Qaeda and other radical Islamists. While pro-regime-changers in the U.S. have repeatedly blame the rise of ISIS on the U.S. not sufficiently sponsoring the “moderate” rebels, in reality the program of supporting the moderates was the major factor that empowered the jihadists. The so-called “moderates” were never separate from the extremists, and often were only called “moderate” to justify U.S.-support. 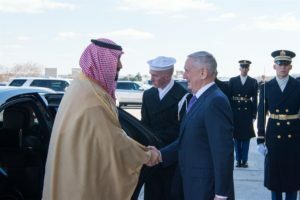 Despite knowing its support was empowering extremists, the U.S. continued to do so, realizing that it was necessary in order for the goal of overthrowing the Syrian government to have any realistic chance of success. This created the situation today where the opposition is dominated by al-Qaeda and filled with sectarian extremists. Today in Idlib, where the FSA is being supported by the CIA, al-Qaeda and its coalition completely dominate the rebel forces. Rebels routinely pass at least half of their U.S.-supplied weapons to Nusra while the U.S.-approved “moderates” only operate under license from al-Qaeda. It is important to realize the true history of this failed CIA program and the terrorism it has wrought on Syria. It’s also important to understand how the fight against ISIS is currently being utilized to potentially fracture and partition Syria under the guise of eliminating the threat of terrorism. Steven Chovanec is an independent journalist and analyst based in Chicago, Illionis. He studied International Studies and Sociology at Roosevelt University. His writings can be found at undergroundreports.blogspot.com, follow him on Twitter @stevechovanec. Trump is told what to do by Organized Crime. Jack Kennedy paid his price. Nothing to do with Iran. In terms of the recent US bombing of the Syrian army near al-Tanaf that happened the other day, you will see that the US justified their attack under grounds that the convoys they attacked were seen to include Iranian-backed forces. This is partly true, the main attack however was conducted against the Syrian army, yet there were also PMF Iranian-backed paramilitaries with the SAA as well. These are controlled by the Iraqi Prime Minister, but them and their Iraqi counterparts are also backed by Iran. The threat to the US was that these forces would link up, and increase Iraq-Syria cooperation under the influence of Iran, while the US’ entire policy in the Middle East is essentially to degrade Iranian power and influence, since Iran is economically, militarily, and politically independent from the US’ sphere of influence, and the US’ goal is absolute hegemony. So yes, you are right that the PMF are Iraqi paramilitaries, but what I wrote still stands and is true; they are Iranian-backed Iraqi paramilitaries, through which Iran is able to influence Iraqi affairs. I’ve been wrong before and I will be again, but this article makes two references to IRAN (not Iraq) being involved with the Popular Mobilisation Forces (or People’s Mobilisation Forces or Popular Mobilisation Units ….see Wikipedia) and wanting to link with the Syrian Government. I think that should have read IRAQ, not Iran. This is how “false news” is spread…………and people’s misunderstanding of the situation is perpetuated. So far as I can tell, this is about helping Israel destroy Syria and nothing else. I’ve got to wonder if Trump even knows what’s going on here – has he delegated everything to the US neocons? We’re going to clean up in DC. The Pittsburgh operation never worked. DC is dirtier and that means more business. Why no media mention of “kurdistan, which for all intents and purposes is a US protectorate within Itaq? They fly own flag, supported by the rivhest oil fields, given to hem by US Green Zone Authority, as a reward for helping US , from even before US full scale invasion, with only Israel military base out of Israel protecting a pipeline direct to Haifa Israel refineries. Just as today there is no Iraq proper, mere proxies or vassels to US, so too will there be a seperaret form of Kurdish division within Syria. As US proxies now almost in full control of only oil rich area in Syria, that was primarily won by Iraqi trained Prrshmerga spec ops, the new Kurdish sic. “Republic” will be slf supporting. Syria is done as a sovereign just as Afghanistan Lybia and most of Africas nations, and of course no cultural identity left as what was instituted in Iraq. Interesting times,just as long as we Eurocentrics can watch nlasks browns die without fear of interference or discomfott on way to fun and games and shopping malls. While this useful report reveals facts which should be known, I wonder if the headline mentioning “Trump” is totally accurate. I wonder if elements of the yankee government are using the disarray caused by the deep state efforts against Trump to go against the deal he struck with the Russians and give aid to the jihadi thugs. Well it looks like Amerikans have gone to save their thugs. Where is your evidence of a Trump operation rather than an anti-Trump operation? Good point. Trump doesn’t have control of ALL of the “steering wheels” of the vast Federal Government bureaucracy, but he’s trying, pushing back. Unfortunately, people will only see this when he eats a bullet like JFK did. The one guy with the courage to go up against the Deep State (unlike cowards Bernie and Obama) like JFK did, and so many people buy into the MSM propaganda that he’s a nogoodnik. I support the Green Party, but I see great merit in his foreign policy (domestic policy is standard Repub boilerplate nonsense, which will kill Brand-R; foreign policy will kill Brand-D war criminals). I put more trust into the article on “LaRouchePAC”, found on Executive Intelligence Review web site, over in the left-hand column:”New Silk Road Spreading World-Wide, including the U.S., which is WHY Trump is under attack”. The next-to-last paragraph is priceless. Trump is on the offensive to shut down the Anglo-American (read: “RoundTable Group/Synarchist Internationale”) Empire and its’ assets in the U.S. (Neocons in D-Party/R-Party, Wall Street, corrupted elements in intelligence community, ESPECIALLY the FBI). 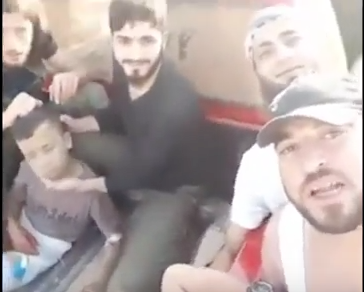 Trump is COOPERATING with Russia to crush terrorists in Syria, using Kurds (accompanied by Green Berets) as most effective proxy force to do it. Turks complained, attacked Kurds, while Trump moved Green Berets to Turkish Front to cut off further attacks on Kurds by Turks. In general, Trump is working on fulfilling his campaign speeches and promises. Setting up a New Silk Road Working Committee to co-ordinate with China too. We’ll soon be singing Ding-Dong the Witch is Dead. I believe the war gangs and the war criminals are all connected or part of NATO. The Peoples’ Tax Dollars are paying for all this carnage. We need a focus on how and why this returned, who exactly brought it back. It arises from the Team Hillary crew that would have done so much more to expand our wars. It is one part of the outcome of the attacks on Trump, as he weakened and sought approval from them to avoid the crazed attacks that he ultimately did not avoid anyway. I believe this is correct. Look at McMaster fully in with the Petraeus-Clinton crowd masterminding the US in Syria. Trump is pathetically dependent and weak toward having himself persuaded and confused. It doesn’t look like Amerikas thugs are moving fast enough. Excellent report on the progress of “Balkanizing” Syria with US dominance in the east versus (or including) Russian-backed “safe zones,” with Russia’s notion to try these zones for six months toward returning refugees and rebuilding. This last seems unlikely with re-arming the militants in Idleb. Air safety of these zones is not yet agreed to by the US, I believe, and it seems likely the US will try to prevent Syria linking up in the east and south with Iraq. The continuing jumble in counter-movements and disarray in the players seems guaranteed toward bigger conflict upcoming. So, yes, the supposed focus on eliminating IS has shown to be more of the same regime change policy, now under Trump. More evidence the inmates have taken over the asylum. A huge military, such as the US has created, makes democracy and concern for human right impossible. The very existence of such an instrument of death is an indictment of our failed society. If our society had any intention of honesty, it would fly the skull and crossbones of pirates as it’s flag. mike k – Pirates, all of them. They should all be flying the skull and crossbones flag. Absolutely disgusting. Was just reading about the Barbary Coast, from the halls of Montezuma to the shores of Tripoli, rah, rah, rah! U.S. merchant ships were seized by Algerian pirates, the white sailors were taken as slaves and held for years, while at the same time black slaves were being sold to the whites for cheap American labor back home. You just can’t make it up! The merchants didn’t really much care what the barbarians did; they just looked the other way. Their only concern was how much the barbarians would buy from them. All about money then, all about money now. There is an evil empire behind the events in Syria. I think most who are sharing here know who that is. One man called it the greatest purveyor of violence in the world. The current war in Syria is just a small part of America’s ultimate plan for the Middle East. You “forgot” that Obama and Bush 1 and 2 and Reagan started that relationship. Did you approve then? Do you seek to dump Trump to get a worse group to sponsor jihadis for bribes from zionists/MIC? I’m sure that you must see that consequence. It seems to me T would cooperate more with the Russians in destroying Da-esh if T was not being attacked for alleged relations with the Russians. Much of the attack on T is motivated by the Corporate Globalists DemoNeoCons desire to keep the Salafist jihadis operating under USA and its Allies auspices . Yes, the cause of that is primarily zionist/MIC bribes of politicians, with some Saudi bribes as well. The US will pay a heavy price when it must abandon AlQaeda, as 911 was the price for abandoning them after the US started AlQaeda to drive the USSR from Afghanistan. It is already paying a much heavier price for allowing bribery of politicians. It is paying those prices because it has allowed mass media and elections and politicians and judiciary to be controlled by money.